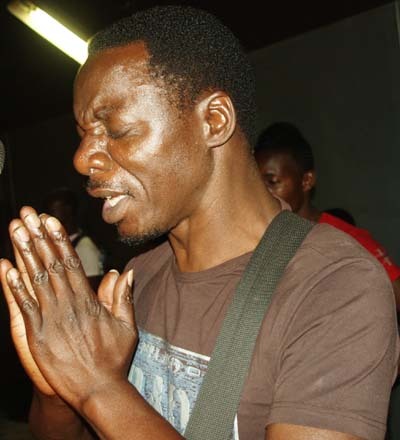 Alick Macheso found the going tough in his territory when fans walked out of a show at the Aquatic Complex when he went on stage in the early hours of Saturday morning. More than half of the fully-packed complex was cleared when Macheso went on stage just after Oliver Mtukudzi’s performance at the show that also featured Jah Prayzah and Douglas Chimbetu. Show promoters had probably slated Macheso for last performance banking on the support the musician has in the city but tables turned as fans shunned his performance. It has been a long time since the complex hosted such a huge crowd and expectations were high that Macheso would use the opportunity to show his Chitungwiza fans that he is still a force to reckon with. But Macheso lost it when his own people dumped him after he performed a few songs. Activity was high outside the venue when people got out of the auditorium, leaving the Madhawu hitmaker performing for a depleted crowd.About 10 people that now make Macheso’s frontline failed to keep the full house intact due to a pathetic act that left many wondering if the sungura king would safeguard his throne in his stronghold for long. Besides the popular “Zora Butter” dance, Macheso seemed short of ideas to keep his homeground entertained. He performed until daybreak but the response from the crowd was not encouraging. The only highlight of Macheso’s performance came when Tryson Chimbetu, who was not officially billed to perform at the show, joined the sungura king on stage. Chimbetu added flavour to the show as Macheso played bass guitar on the song “Saina” to the delight of the audience. Chimbetu had performed at an earlier show and chose to support his mentor in for the last slot of the star-studded gig. Jah Prayzah gave the best act of the night through his military drills and energetic performance. Jah Prayzah kept audiences on their feet when he took to the stage after Chimbetu. The Tsviriyo hitmaker lit up the auditorium with a good act. Hilarous Mabla 10 spiced up Jah Prayzah’s act with his jokes and comic acts. Although Mtukudzi was in his usual top form, fans seemed unsatisfied with his act. The fully-packed auditorium followed his act without the notable excitement that usually characterise his performances. It was a long night of exciting mixed fortunes and the big guns of local music should have learnt that the crowd is waiting for new acts to enjoy their performances.